Save Big at our Cougar X-Lite 28SGS Fifth Wheels Closeout! 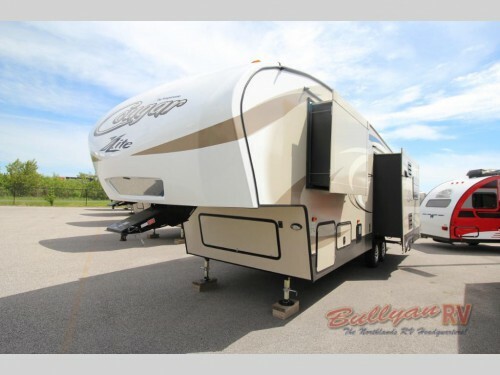 Right now, you can save thousands of dollars on the Cougar X-Lite 28SGS fifth wheels for sale here at Bullyan RV! 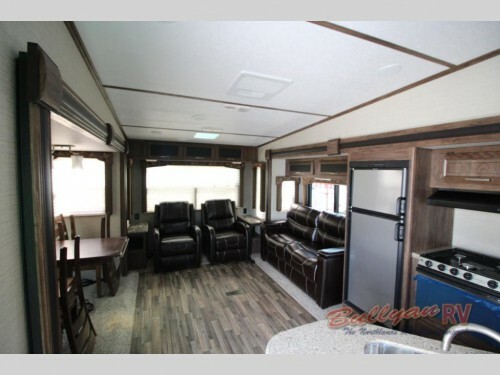 This final closeout sale has these amazing campers being sold for just $34,495. This saves over $8,300! So for a fraction of the cost, you can get all of the same great amenities that people love on this beautiful RV. Save thousands at the final closeout sale of our Cougar X-Lite 28SGS Fifth Wheels! The name X-lite is added to this fifth wheel to show that it is in the extra lightweight category. The innovative design helps keep the weight down to create a camper that is easier to pull with a smaller vehicle such as a half ton truck or an SUV. This way, not only will save money by getting better gas milage, but it will also keep you from having to go out and buy a huge truck specifically for pulling your new camper. Have plenty of space in the triple slide floorplan. 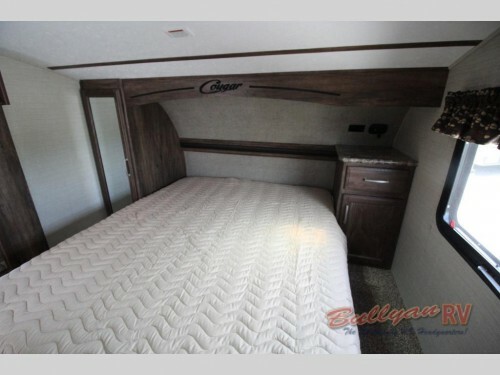 The Cougar 28SGS is a triple slide model with enough space to sleep up to four people. The dual opposing sliding located in the combination living room and kitchen will create an open space where you can enjoy all of the residential amenities that come with it. The third slide will be in the master bedroom area, so you will have more room to create the perfect master retreat. Find at home comfort in every room. Throughout the interior of this Cougar fifth wheel, you will have things to make you feel like you are at home no matter where you travel. The open floorplan makes room for everything such as an entertainment center, pantry, free standing dinette w/4 chairs, and dual recliners in the main area. And the full kitchen and full bath along with the queen master bedroom complete with wardrobe and nightstand will provide the comfort you need to relax at the campground. These amazing Cougar X-Lite 28SGS fifth wheels at our final closeout prices will not last on our lot for very long! So be sure to hurry up and contact us or stop by our location today to find out how you can head home with one of these beautiful campers in tow.